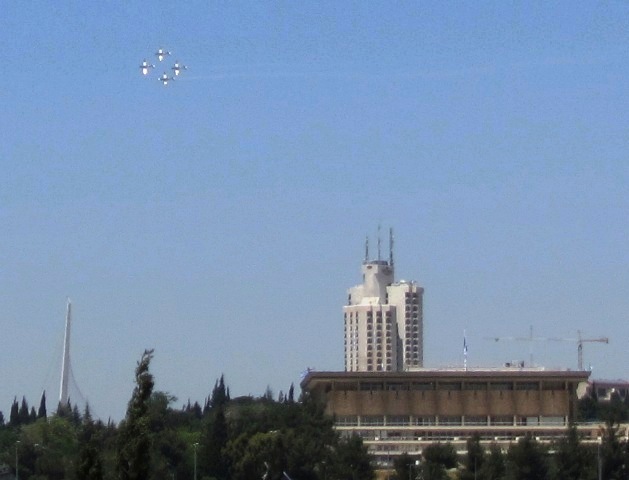 as Jerusalem gets ready for Yom Ha’atzmaut, Independence Day. 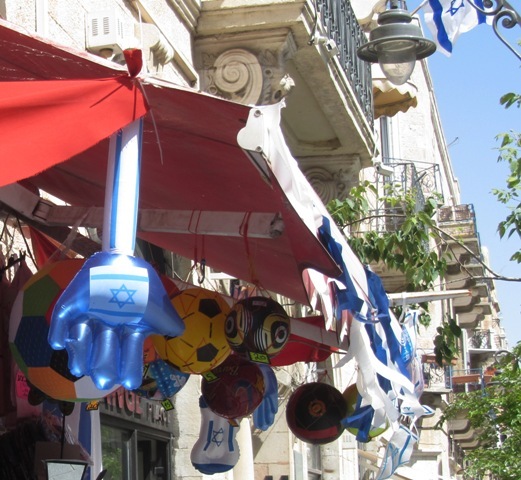 as the streets fill with blue and white Israeli flags. 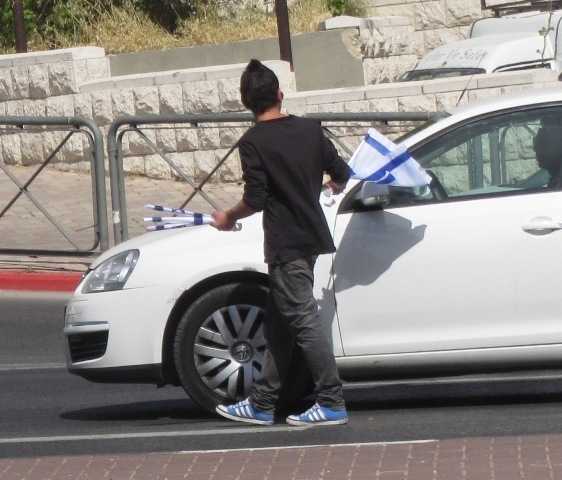 At major intersections someone is usually selling flags for car windows. 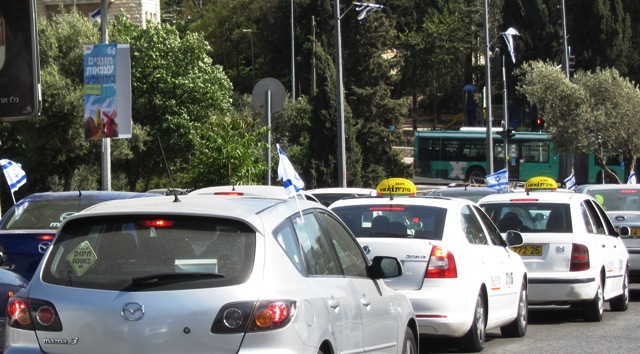 Even Prime Minister Bibi Netanyahu stopped his motorcade to buy a flag. It is reported that he gave the seller a 5 shekel tip. I wonder how you report that for taxes? in some neighborhoods business has been very good this year. 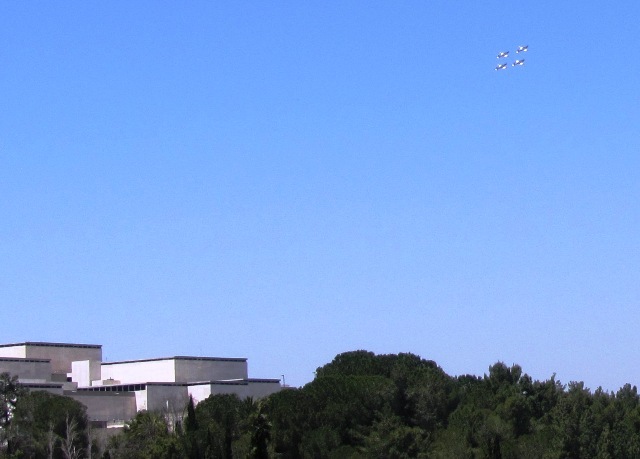 They were fast, loud and high in the sky as they flew away from Jerusalem. 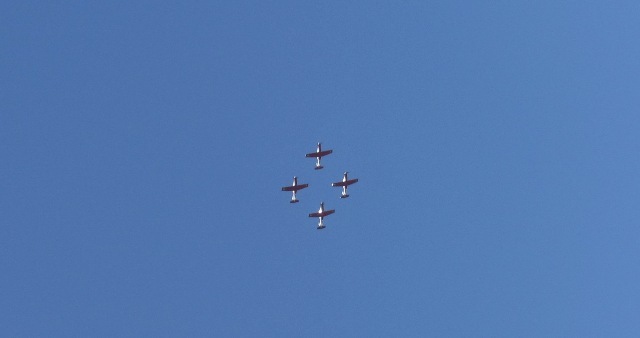 just before they split from their perfect formation. Remembrance Day for the fallen soldiers and victims of terror. then it will be time to celebrate Israel’s 64th Independence Day. 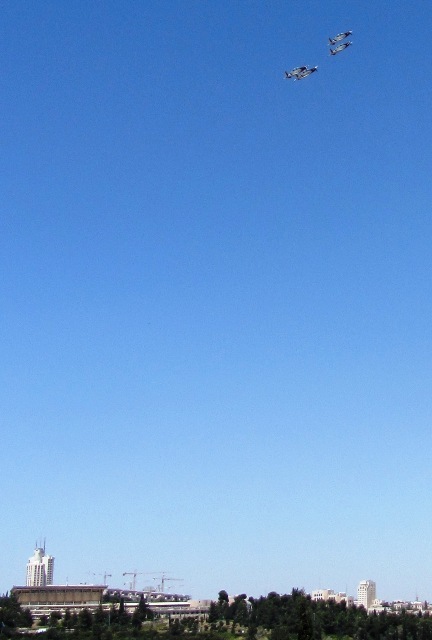 Another beautiful post, Sharon, both visually and verbally. 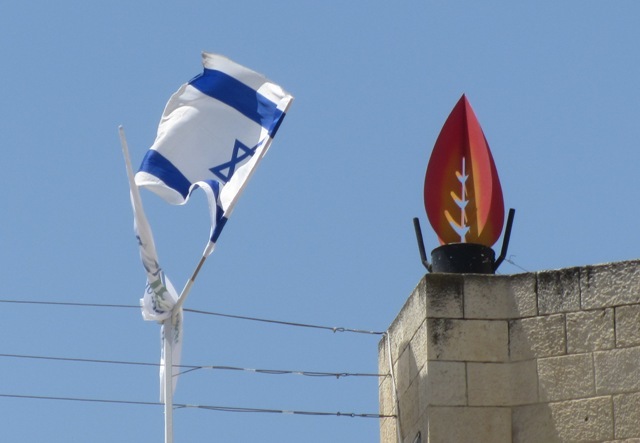 To be part of b’nai Yisrael means to commemorate tragedy and to celebrate freedom. wonderful coverage, makes it all so alive and real. thank you sharon! 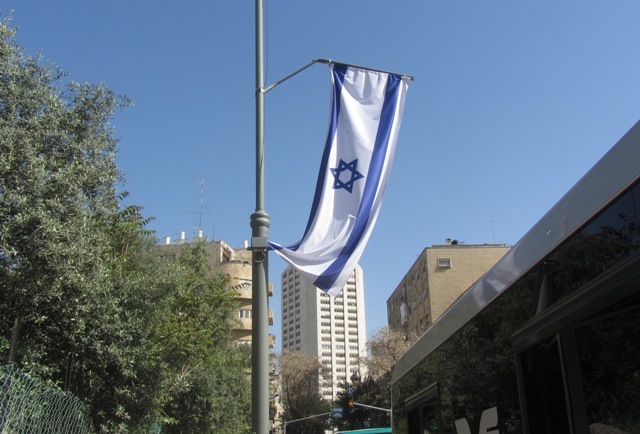 This has been a very sad evening of Remembrance and we look forward to Yom Ha-atzmaut. Binyamin’s Choir will be singing at a Shul in Tel Aviv, Ichud Shivat zion on ben Yehuda, for the evening service for om Ha-atzmaut and chief rabbi Yisrael Lau will be speaking. then we celebrate. Thanks for your sensitive post. 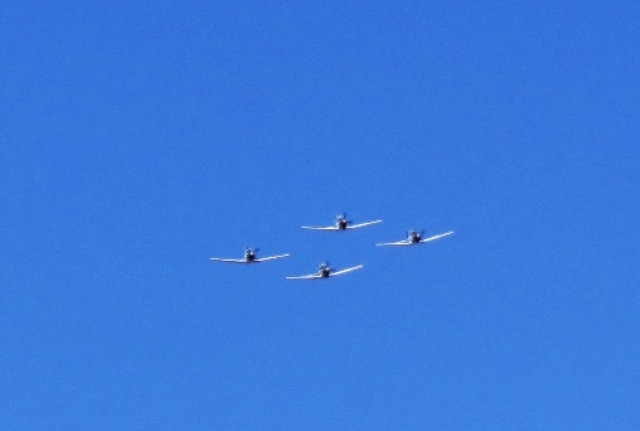 I heard the planes but never saw them!